It may be one of the biggest advancements in clothing in many, many years: researchers at Stanford University have created a textile that could make you feel like you’re not wearing any clothes at all. This new plastics-based textile would prevent your clothing from trapping body heat, and could drop the temperature by nearly four degrees Fahrenheit. 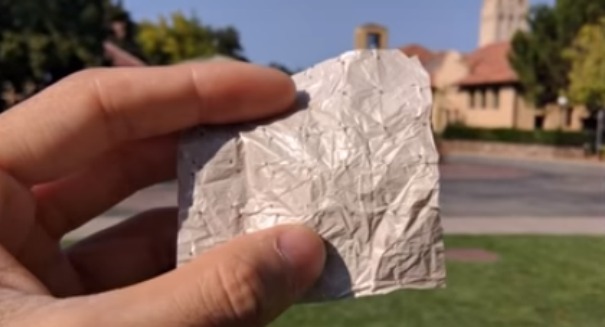 This fabric could be woven into clothing and would work in two ways to keep the temperature low: it would let perspiration evaporate, and it would allow infrared radiation from your body heat to pass through it instead of trapping it around you and raising your body temperature, according to a Stanford statement. That’s the problem with today’s cotton and synthetic fabrics. Not only would this make clothing that is far more comfortable particularly in hot conditions, but with universal use it could also drastically cut down on energy usage: buildings would have air conditioning systems that wouldn’t have to work as hard to keep everyone cool. A new study performed by an international team of scientists has found evidence that humans effects on climate change date back to the 1830s, around the time of the early Industrial Revolution. This is nearly 200 years earlier than originally thought. The signs of rising first appeared in the Arctic and tropical oceans around 1830. Twenty-five scientists from Australia, the U.S., Asia and Europe took part in the study. Researchers have been attempting to pinpoint a date when humans began to significantly affect the environment using instruments that are designed to monitor temperature changes from the 1800s onward. The instruments measure corals, ice cores and tree rings which all indicate historical temperatures on Earth. However, the instruments have not been able to identify the start of the current warming trend. The team determined that the temperatures of tropical oceans and air in the northern hemisphere began to increase during the 1830s, which was the same time that greenhouse gas emissions began to increase. 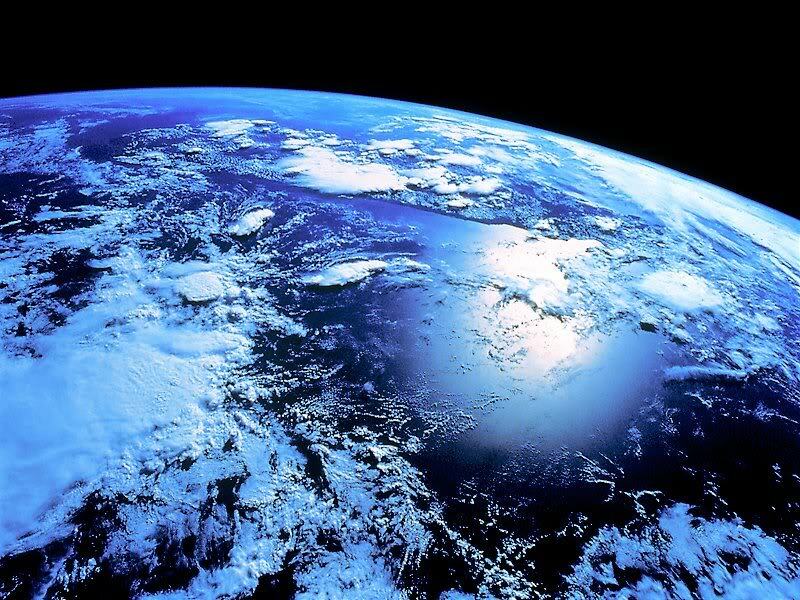 Initially the researchers thought the rise was simply a climate rebound after a cooling period. 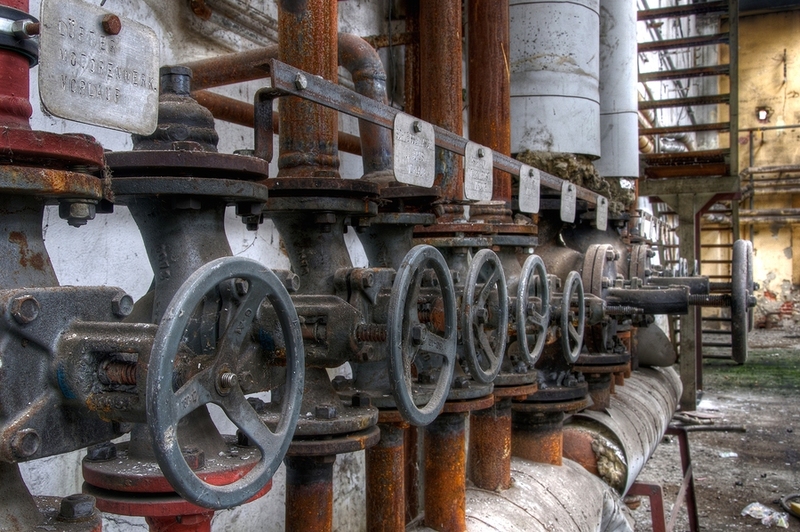 However, they then figured out that the rise of greenhouse gasses coincided with the rise of the Industrial Revolution, which pointed directly at humans creating the effect. The findings of the study are significant in helping understand the temperatures on Earth before humans began directly influencing climate change and global warming. Ed Hawkins, Reading University meteorologist, said the results of the research show just how much information can be found in corals, tree rings and other natural materials that can help determine how past activities affect climate change. “This is further evidence that the climate has already changed significantly since the pre-industrial period,” he said. The study was published online August 24 in the journal Nature. In the continued search for water on Mars, a recent NASA spacecraft sent to investigate the seasonal dark streaks phenomenon came up dry. NASA’s Mars Odyssey studied ground temperature using infrared imaging via its Thermal Emission Imaging System (THEMIS). Last year, researchers identified hydrated salt within the flows, which signals the conceivable presence of water after the initial discovery of them in 2011. The “features” referred to are recurring slope lineae (RSL) and have been found at many spots on Mars. The streaks darken as they finger downhill during spring or summer and then fade away through fall and winter, a process repeated annually. But the cause for their appearance is still a mystery. 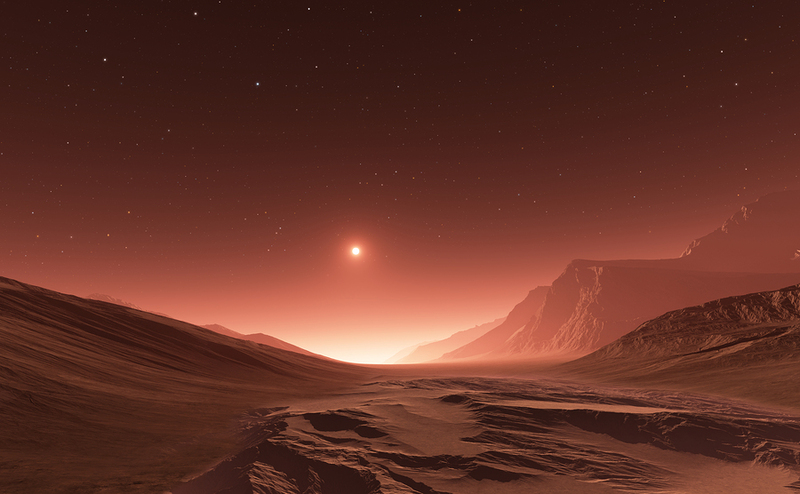 Edwards and Sylvain Piqueux of NASA’s Jet Propulsion Laboratory in Pasadena, California, studied several years worth of THEMIS infrared data captured within a crater-wall region in the titanic Valles Marineris canyon system. They found many RSL features fitted close together and compared nighttime temperatures of ground patches to nearby slopes; the cross-section of patches revealed about 44 percent of RSL features juxtaposed to nearby slopes with no RSL readings. In other words, there was no detectable difference even throughout seasons of RSL activity. The hydrated salts discovered last year have higher concentrations in RSL sites and even more during streaks active seasons. Water molecules, buried deep in the hydrated salts, affect the crystalline composition of the salt. “Our findings are consistent with the presence of hydrated salts, because you can have hydrated salt without having enough for the water to start filling pore spaces between particles,” and, “Salts can become hydrated by pulling water vapor from the atmosphere, with no need for an underground source of the water,” Edwards said. The picture above tells the whole story. 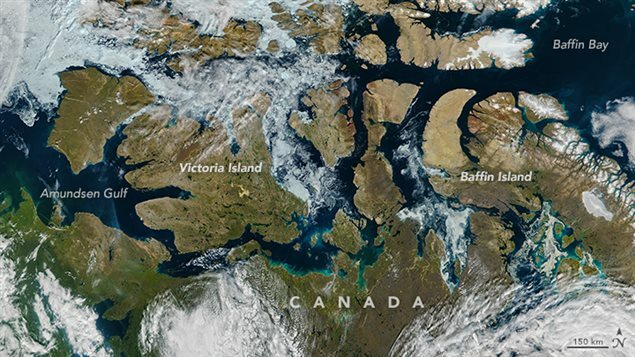 On Aug. 9 NASA’s Suomi NPP satellite captured an image of Canada’s Northwest Passage in a state that NASA says is the “new normal” – the ice that is typically present in the famed waterway nearly year round has vanished. As climate change continues to transform the region, the ice-choked path between Amundsen Gulf to Baffin Bay is now open water. The sea ice cover of the Kara and Barents seas north of Russia opened in April this year, exposing the surface of the ocean to the warmth of the sun weeks ahead of schedule. By May 31 the extent of sea ice cover loss in the area was a month ahead of normal. A weather change in June slowed the loss of the sea ice, but Meier says a really strong low pressure system moving across the Arctic could start the accelerated ice melt again. Researchers at Stanford University have designed a probe using predictive analytics to observe poverty from space. Published in the journal Science, it uses an algorithmic model contrary to present methods that source data from old and out-of-date surveys. From space, a particular region’s or country’s brightness determines how developed it is; the twinkling lights, however, don’t inform which neighborhoods within them are destitute. Other methods such as dispersing study groups throughout targeted areas would be overly time-consuming and expensive, so scientists are using computers to interact with satellites. They need to use, nonetheless, a particular approach. Fundamentally, researchers need a set of data that tracks where people live, and data from the public domain is the most convenient data trove. A smaller more specific cross-section of data is then used before dropping all the information into a computer that can sift out reliable references. Stanford analysts applied their model to five African countries including Nigeria, Tanzania, Uganda, Malawi, and Rwanda. They first used nighttime images caught by the U.S. Air Force Defense Meteorological Satellite Program. Areas that were recorded as economically developed were compared to darker counterparts that were not. The nighttime images were juxtaposed to higher-resolution daytime images available through Google Static Maps. The program was able to identify certain shapes within the wealthier regions that signified economic development. “Without being told what to look for, our machine learning algorithm learned to pick out of the imagery many things that are easily recognizable to humans — things like roads, urban areas and farmland,” said study lead author Neal Jean, a computer science graduate student at Stanford’s School of Engineering. Statistical methods were then applied to particular items cited in the daytime and their correlation to income data culled in the surveys. Type of roofing material, for instance, was directly linked to income and a location’s distance from an urban center. The predictive analytics component of the program measured two crucial determinants of poverty: average spending by households and average household income. 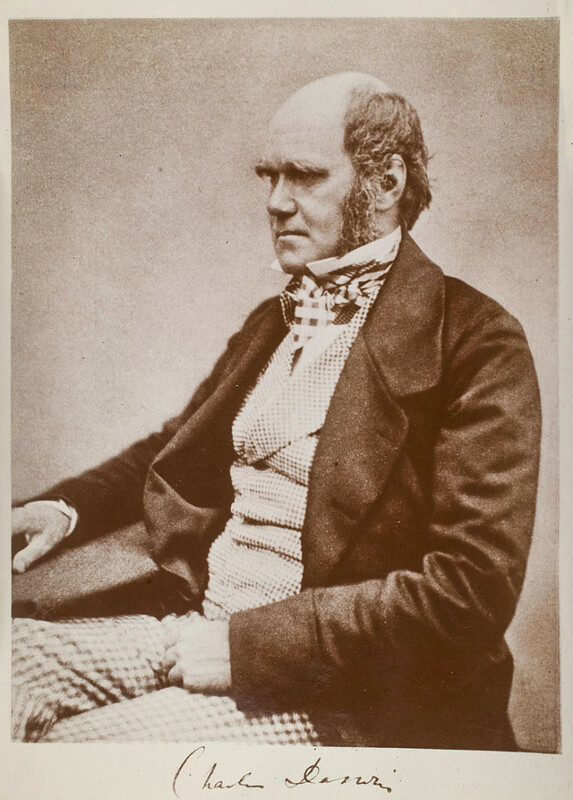 Despite Charles Darwin’s revolutionary, “On the Origin of Species,” evolutionary biologists still don’t have a rationale for how the physical transformations occurred. But in a new study published yesterday, researchers sourcing technology that didn’t exist in the mid-nineteenth century have potentially discovered a mysterious link, a “cellular and genetic connection between the fin rays of fish and the digits of tetrapods,” the classification of all four-limbed vertebrates. Tetsuya Nakamura, fellow co-author of the study, used the novel CRISPR/Cas9 gene editing technology “to delete important genes linked to limb-building” in the zebrafish used for the study “and then selectively bred zebrafish with multiple targeted deletions.” High energy scans revealed “that fish lacking certain genes lost fin rays,” which are the bones in a fish fin that are dermal contrary to human fingers, which are made of cartilaginous bones. Nakamura also found, nonetheless, that “the small bones made of cartilage fin increased in number” in the fish. Most people consider dogs to be most motivated by food, but a new study known as the “Dog Project” has revealed some surprising contradictions to that belief. The study, published Aug. 12 in the journal Social, Cognitive and Affective Neuroscience, showed that dogs have a strong preference to praise and pets over food. Study author Gregor Berns, who is a neuroscientist from Emory University, has worked on the Dog Project for the past five years, using MRI scans to study brain activity in dogs while they are awake and unrestrained. Dozens of Atlanta dog owners participated in his study, with the goal of determining whether dogs would rather have belly rubs than treats. “Is social reward on the same footing as food, or is it potentially more valuable?” was his question. To find the answer he needed dogs that could keep still for 30 minutes while awake, which would allow the MRI scan to be done. Since calmer dogs were needed, “lots of retrievers” were used. Fifteen dogs at a time were used in three separate experiments in which they were made to lie down in the MRI machine while they were shown various toys. After one toy they were fed a hot dog, after another they were praised and after another they got nothing. Thirteen out of 15 dogs showed brain activity that indicated that the praise stimulated their brains just as much, or more, than the food. In the third experiment that dogs were placed in a maze, and had the choice to seek praise from their owner or food, and after the first two tests Berns was pretty sure what the researchers were find in the third. The dogs who had exhibited the strongest neural response to praise chose finding their way to their owners 80 to 90 percent of the time. 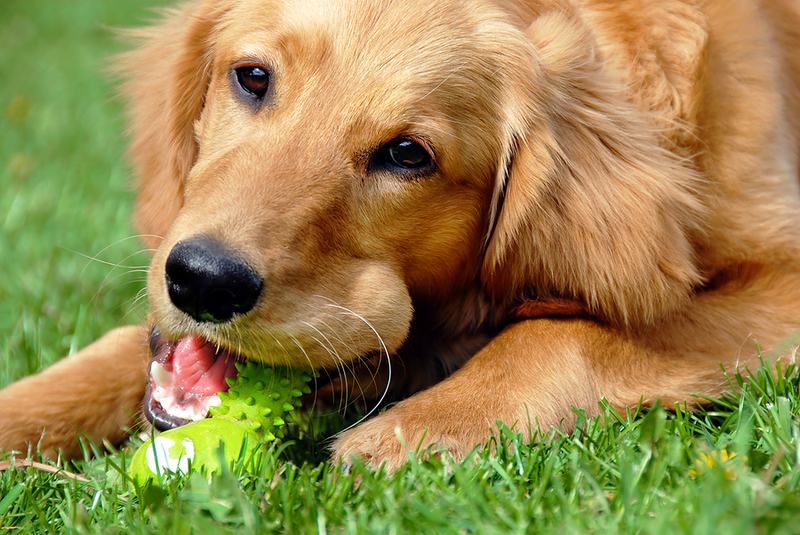 The results of the study could be valuable for training service dogs as well as pets. Dogs with high preferences for social rewards might be best suited for jobs as service or therapy dogs. Dogs with less neural preferences for praise might make better choices for independent jobs, such as search-and-rescue dogs. Although the typical dog owner does not have access to an MRI machine to perform a neural scan on their own pet, they probably already have a sense of what most motivates their canine companion. The study likely reinforces what they already know, but perhaps could not believe. The Chester Zoo in the United Kingdom just had something very exciting — and very icky — happen: about 200 rare Montserrat tarantulas have hatched after a very difficult and very tense mating process, the first time scientists have gotten the rare spider to breed in captivity. Scientists don’t know know much about the Montserrat tarantula, which is only found on a single island in the Caribbean after a zookeeper brought them back three years ago. But now, the three females at the zoo have successfully reproduced. It wasn’t easy, as the males of this species live for just 2.5 years while the females live much longer and take longer to mature, making it tough to find males. Also, once the zoo had those males, it was a risky process mating them as the females can often decide to simply strike and kill them. But fortunately, it appeared the males successfully impregnated the females — after that, it was the waiting game. The females suddenly disappeared after digging a deep burrow, not even emerging for food for several months. And then, magic: baby tarantulas started popping up all over the place, and you can view video of that event below. Anthropologists exhumed new evidence that hominins existing 250,000 years ago or 50,000 years prior to the earliest modern humans in Africa used tools to butcher and prepare animal flesh for consumption, according to a published study in the Journal of Archaeological Science. This new data could reveal more about our mysterious beginnings. The discovery was led by April Nowell of the University of Victoria in Canada. Researchers excavated the dry lands of northeast Jordan, which was once the location of Azraq Oasis. But later in the 20th century, the water was diverted to service urban settlements and the oasis dried up. Which, means, the arid location was once a spring-fed wetland. Scientists examined multiple layers of geologic strata. 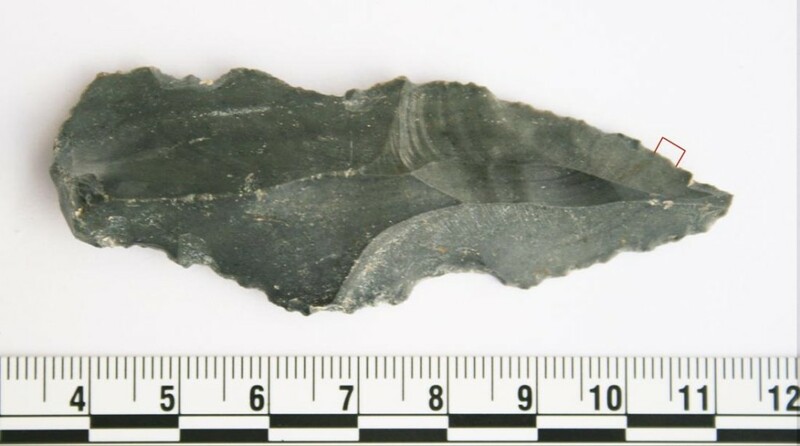 The upper stratum corresponded to an epoch one-quarter of a million years ago revealing 10,000 different types of artifacts made from flint, river stones, and other localized ematerials. Of these, projectiles, scrapers, and mostly ax heads were discovered. Archeologists claim that the ax heads were a paleolithic (2.5 million to 10,000 years ago) Swiss Army knife. Researchers then picked 44 of the most preserved relics and tested them with antiserum to search for proteins, particularly from animals targeted as potential prey. Time would have washed out any marks on the surfaces of the tools, but microscopic traces remain. Specifically, investigators found protein markers demonstrating the blood of horse, rhinoceros, wild cattle, and camel—all of which were indigenous to the former fertile region. The type of animals hunted also implicate the development of more tactical weapons and strategies. A duck, for instance, is more cunning, so our ancestors may have used the hides of larger animals to throw over unaware ducks in their nests. As prehumans adapted and maintained a steady source of protein, brain capacity developed in concert because it’s the most calorie-intensive organ. And craniums furthered to house a progressively growing brain. Cooking meat led to less muscular jaws and other bodily adaptations as well a study noted. Modern diets, however, have accommodated other sources of protein, but from meat, nonetheless, is still a primary source. Her official name among the scientists who have followed her for decades is J2, but most know the orca matriarch as Granny. Granny’s age is estimated at 105 years old, which would make her one of the oldest killer whales. A lot has happened during her lifetime including two world wars and the sinking of the Titanic. Granny was first spotted and photographed in 1971. 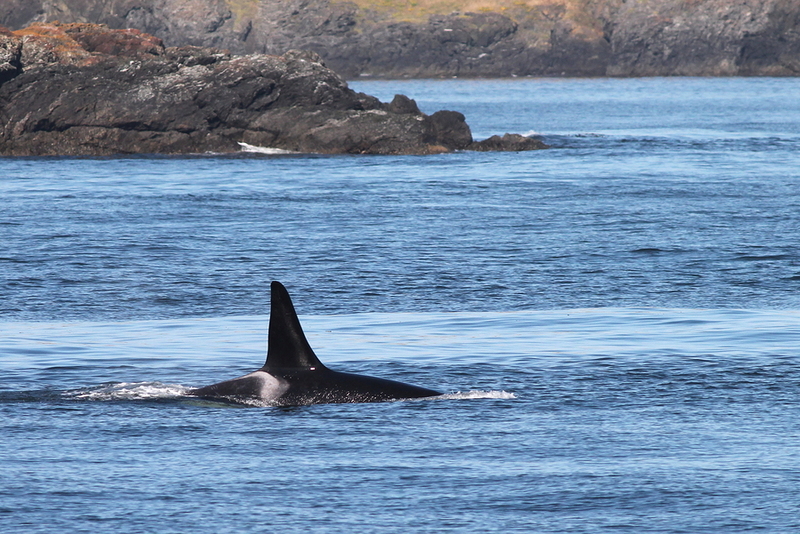 She was seen with a younger orca called Ruffles, thought to be the offspring of Granny. Since Ruffles was also a mature adult he would have been at least 20 years old. Granny has never been seen with any other calves, and killer whales stop giving birth at about 40, so researchers decided that made Granny 60 years old, with an estimated birth year of 1911. Female orcas typically live to be about 50 years old, but some have been reported to reach the age of 100. The Orca Network says that there is a margin of error of about 12 years, but that would still mean Granny is an amazing 90. When Granny was spotted again on July 27, after years of anonymity, she was seen jumping high out of the water like a youngster. She has generally been seen in the waters around Canada and Washington. A favorite in the area, she was even made the honorary mayor of Eastsound, Wash. Her final mayoral address was published in The Islands’ Sounder on June 25.